New (New) PB Grasser again! Congrats! That's one long common! 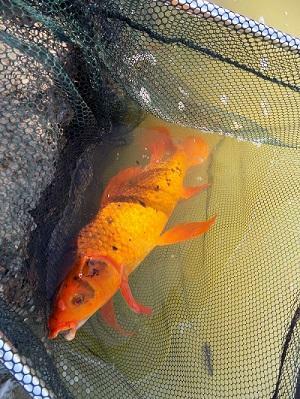 CT Trophy Carp Regs - Urgent Update! Lots of interesting trout and other species around there for sure. I'd definitely like to mess around in that area at some point and target some of them. But Phoenix is one of the best cities there is for urban carp fishing. 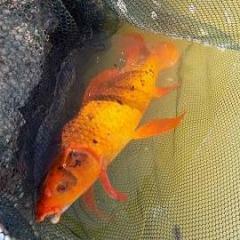 Koi, commons, mirrors, grassers, quantity and quality. I didn't get to fly fish much this trip but I played around with ultralights and caught some fish. I'm no expert at this but I can certainly post some of the flies I use and such when I get a chance. Congrats to all who caught and fished! I'll be going to the events in MA next week. Should be good, lots of interesting presentations lined up and at least a couple are going to be talking carp. 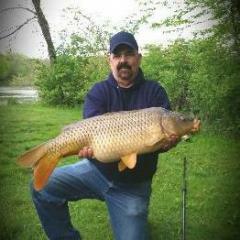 Fly fishing for carp may be my favorite way to target them, and it's too bad there's not much mention of it on here. 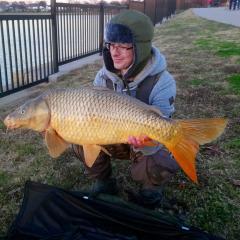 Carp on the fly is getting mainstreamed though, lots of pictures and info floating around other platforms. Still would be cool to see more of that here. I'm going to be fly fishing for some next week in Arizona, I'll throw up some reports and fly pictures afterwards. FFF 2018 - Post ALL Carp Entries/Captures here! When can you say you have caught a fish? In my mind they count when they are in the net or in my hands. I don't count fish hooked anywhere but the mouth. When I left, everyone attending had caught one fish. Lots of fish rolling and a few lost to snags for me, but a successful fish in for sure! Here's a few pics that we took, I know Iain has more as well. Riverview Blvd Methuen, MA 01844 https://goo.gl/maps/vYcCZ6GgeFQ2 Somewhere around here I believe. Me as well! My brother and a friend may join if attendance looks to be low, assuming there's enough shore access. (We'll probably switch off with 4 rods anyways).